Every now and then, I have a chance to read a book a colleague has written and want to tell others about it. 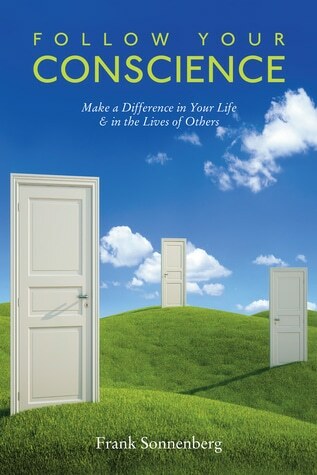 Such it is with Frank Sonnenberg’s Follow Your Conscience: Make a Difference in Your Life and the Lives of Others. Frank is an award-winning author and a consultant who works in the areas of leadership, character, values, and personal responsibility. I met Frank electronically through my association with Trust Across America–Trust Around the World. This book is a real gem and is rich with sage advice. I have many pages dog-eared and passages highlighted. Frank covers topics like the power of kindness, forgiveness, and believing; the magic of giving; the most important things to teach your children; the elements of tough love; and the little things in life that are so big. Want more? I heartily recommend this treasure.